Hello friends! I have another fun layout to share with you today. Around St. Paddy's day, my mom found all these fun little green beards and mustaches for the kiddos. I managed to snap this cute little shot of the boy. 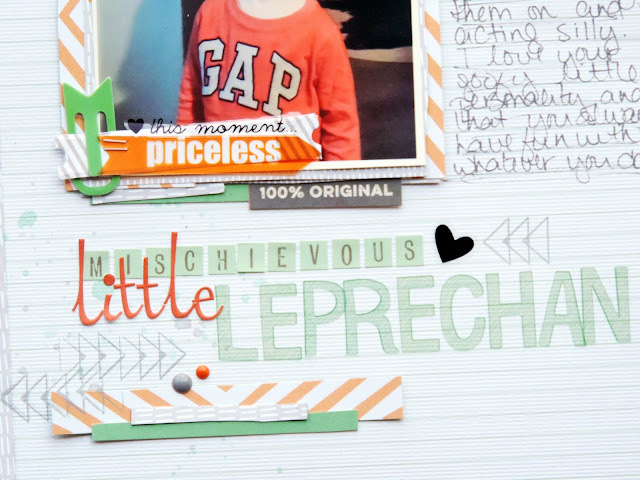 I had a little trouble with this one...I really wanted to play off of the green/orange combo from the photo..but I didn't have much in my stash, so this made for a more simple layout, but I must say, I really love the way the photo pops against that white background! I really wanted to do a fun layered title. Different fonts, colors, etc. I love the way the "little" fits in there so perfectly, and the pop of orange it gave. 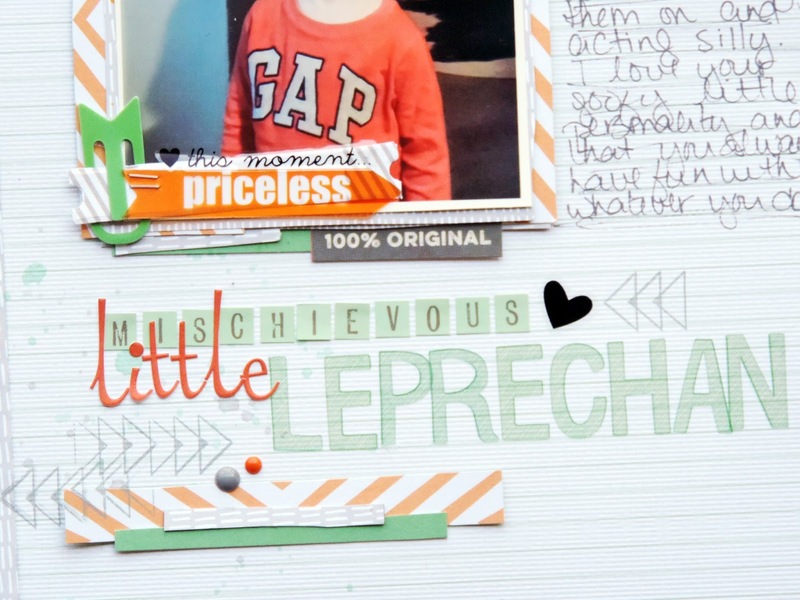 With the differing words though, I was left with some awkward spaces..I added in a little stamping, and a few more small paper layers to fill those spots, and bring more interest to my page. I loved these strips going up the side, but hindsight, I wish I would have made the orange one a little smaller; to try and fill in some of that space, I layered in a few tags. 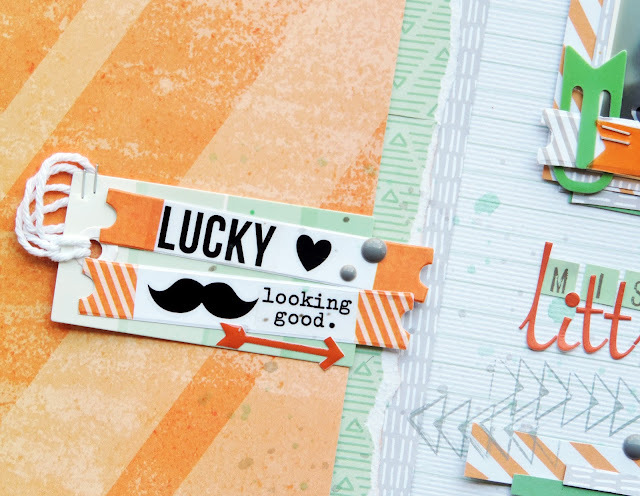 I used two blank orange ones from Chic Tags, and some of my Simple Stories clear stickers to customize them for this layout...seriously, how perfect is that mustache! I am still loving these challenges of using what I have...though, I am DYING to go shopping!! All of these sneak peeks aren't helping either! lol. So cute! 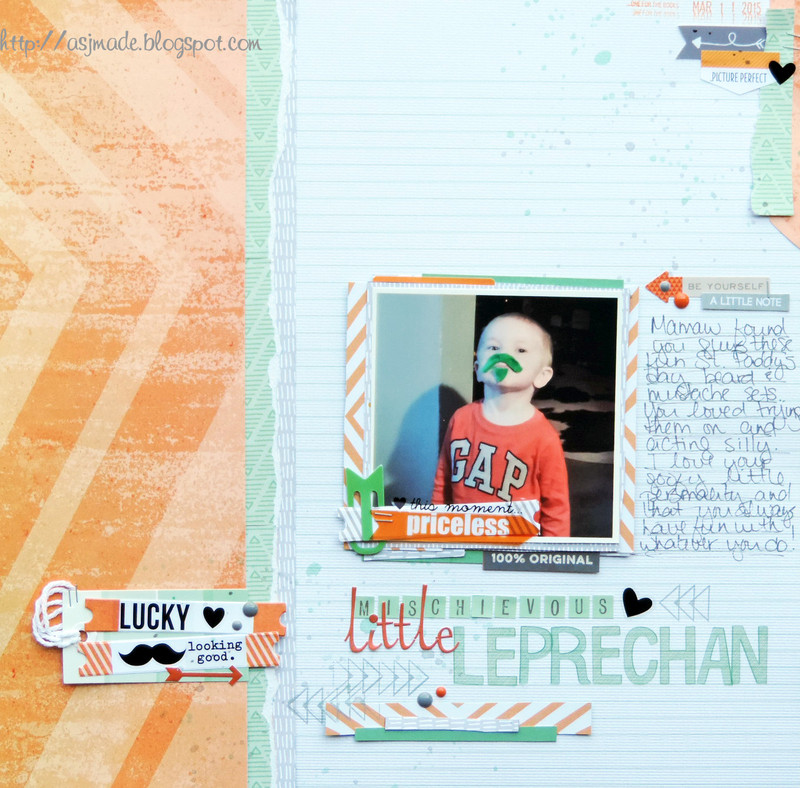 This layout is fabulous.